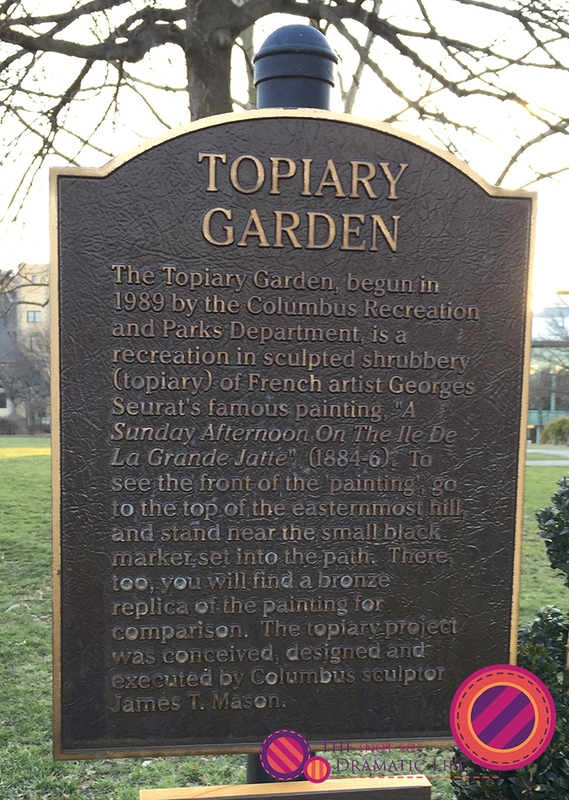 The Topiary Garden in Columbus, Ohio is situated behind the Main Library and provides a lovely outdoor counterpart to the building. This month’s block highlights this unique park. Walking paths wind around the gardens with carefully sculpted plant structures. 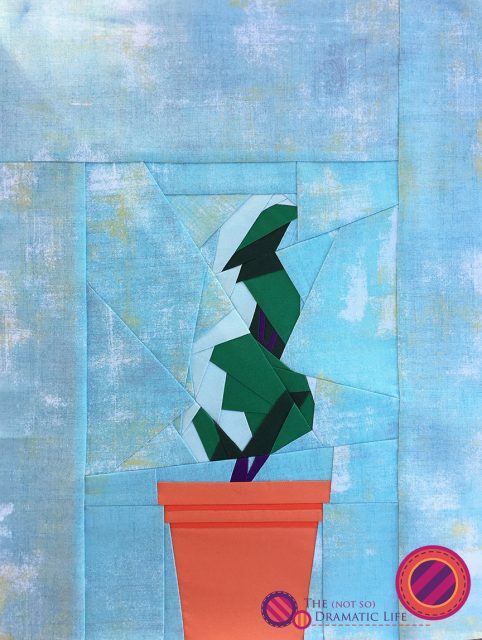 This month’s block depicts a common topiary shape in a pottery planter. This garden is most known for the topiary depiction of Seurat’s Sunday Afternoon on the Island of La Grande Jatte. The figures are positioned looking over the pond, and allow you to see this recognizable image from many perspectives. At the top of the hill you can take in the scene from the view of the painter. This pattern is available from Dabble and Stitch in Columbus, Ohio. 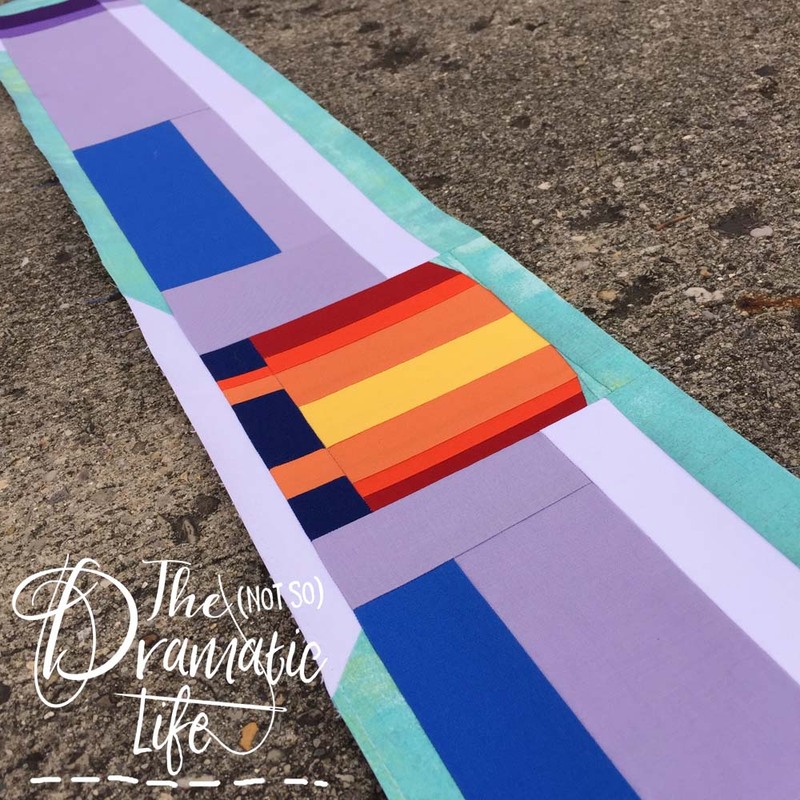 If you have already purchased the pattern, you can access the extra templates here. You will need the password included in the pattern instructions to access this page. I will be doing a construction demonstration of a portion of this block at 1pm on Sunday, April 7, 2019 at Dabble and Stitch. The Franklin Park Conservatory is situated just east of the core of downtown Columbus, Ohio and creates a botanical hub for the city. The main building depicted in this quilt block is primarily a greenhouse structure that hosts plants and artwork that melds with nature. Each section of the conservatory replicates a different climate and highlights the plant life found in those areas. Outside, a spectacular children’s garden engages visitors of all ages. 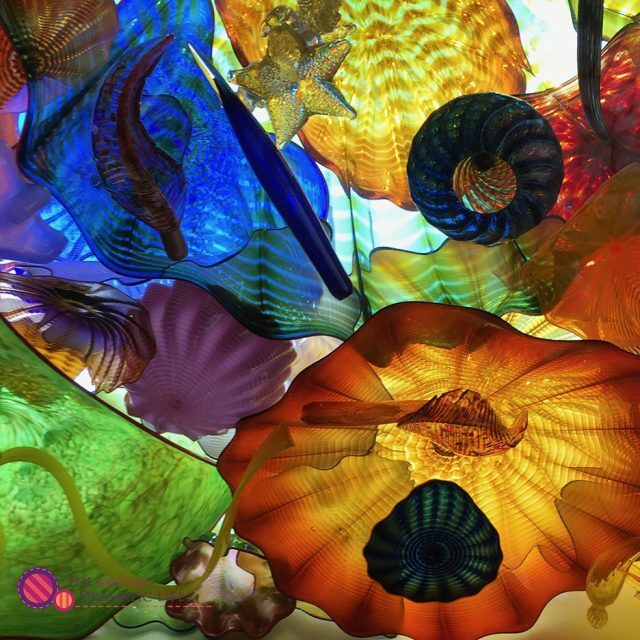 Interspersed throughout the building are installations of Chihuly glass. This sculpture is the upper portion of a tunnel so you experience the piece by walking below it. 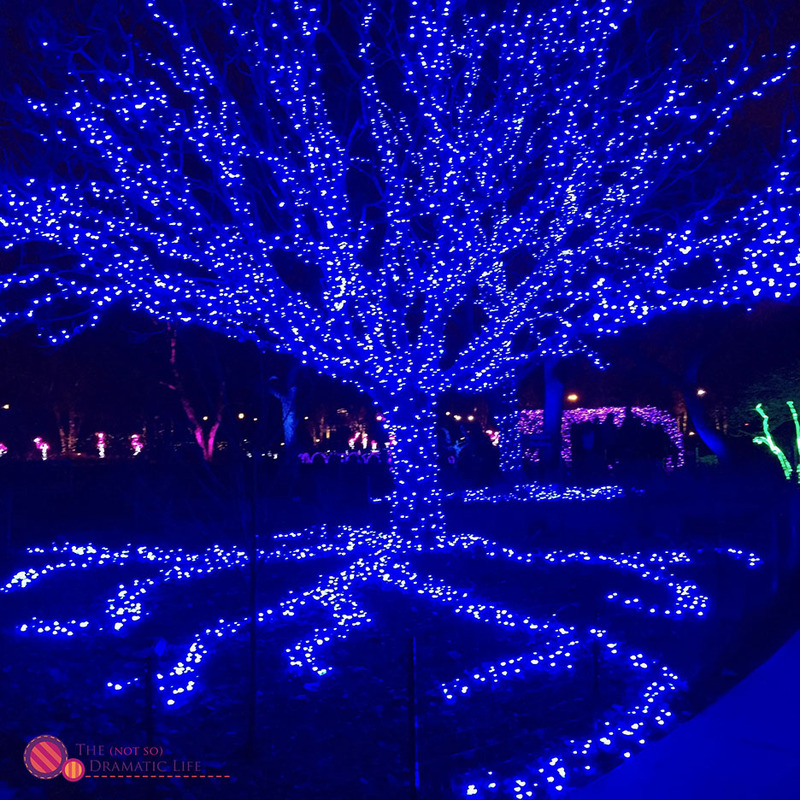 Each winter the conservatory transforms to a winter wonderland covered in colorful lights. One of my favorite parts of this display are the trees that have their root systems reflected in lights along with their branches. 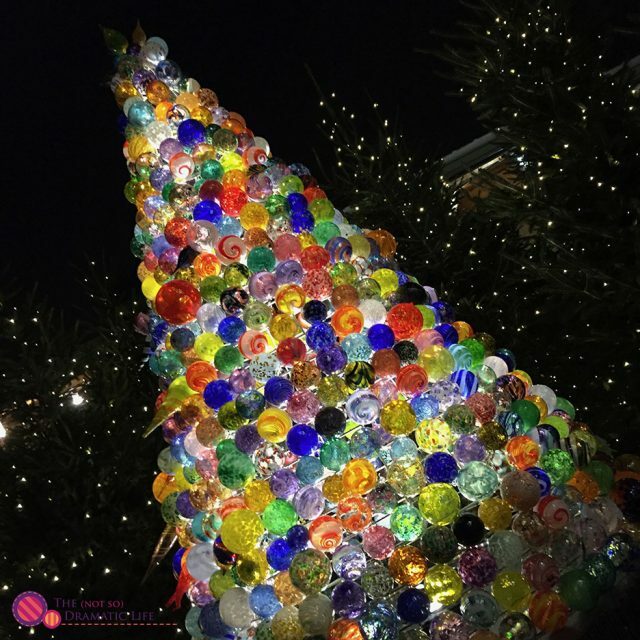 A hot shop is also part of the conservatory year round, and this tree was created with glass made on site by the artisans doing demonstrations and offering classes. The Ohio Statehouse is situated in Downtown Columbus near many of the buildings we have already added to our quilt. The Ohio Theatre is across the street, and the science center is a couple blocks away, just over the river. 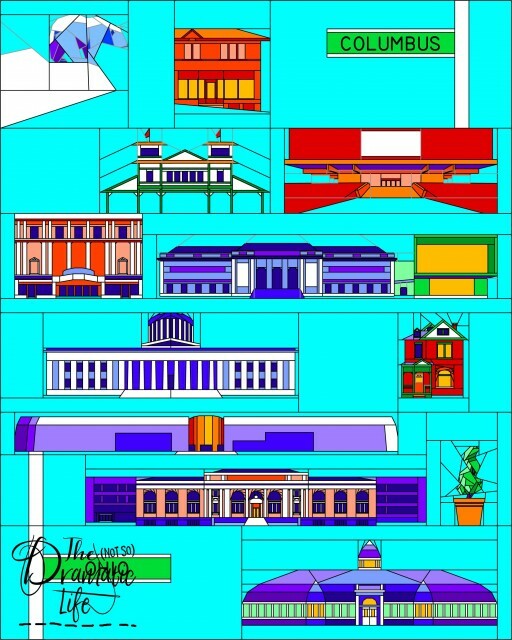 In the other direction you will find the main library and the art museum. 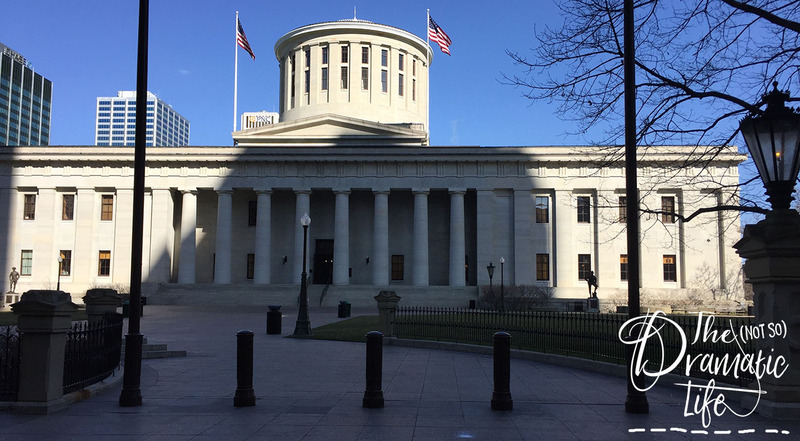 Our statehouse is particularly distinct because it doesn’t feature an exterior dome, but a cupola. 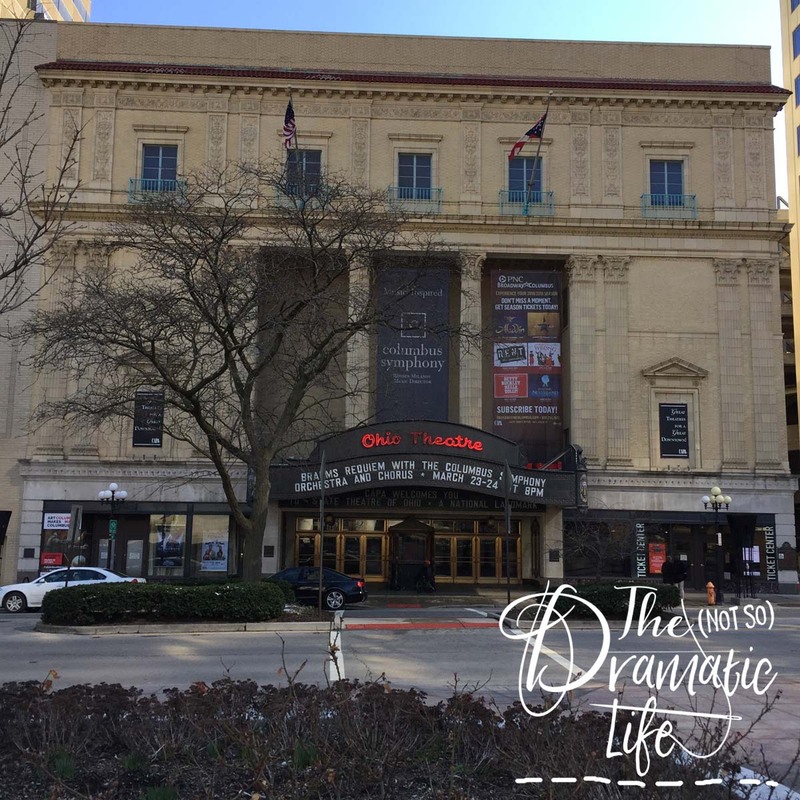 There is an internal dome structure in the rotunda, and the tour of the building is worthwhile to experience the art and architecture featured in this impressive structure. I will be demonstrating the construction of a portion of this block Sunday, February 3rd at 1pm at Dabble and Stitch. 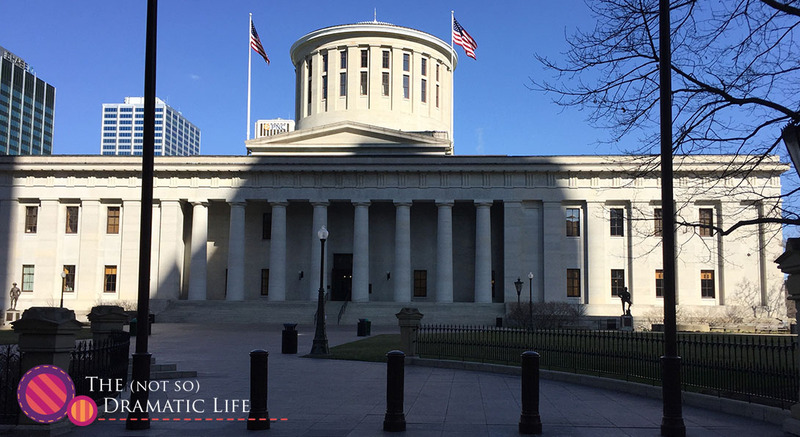 Located along the Scioto River in Downtown Columbus, the Center of Science and Industry is a fun and educational space focusing on how science and technology applies to what we do in daily life as well as larger applications. This building, like the art museum and main library that we have already explored, is a combination of new and historic structures. Unlike the other structures, the historic structure isn’t visible on the side of the main entrance. This part of the building is a sleek curved structure with a cylindrically shaped central entry section. The riverfront view of the structure is a former city school with the addition visible on either side. 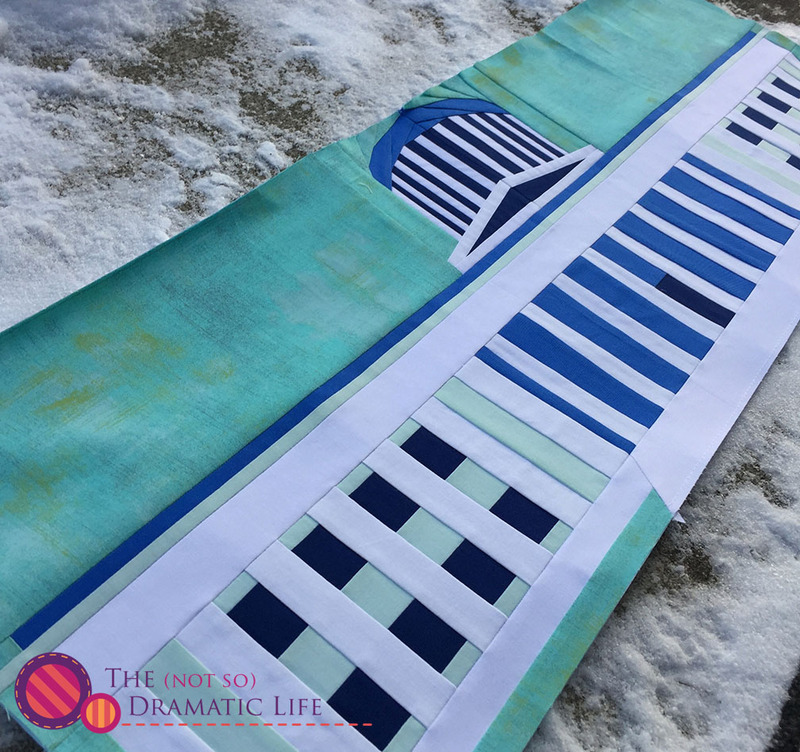 I never realized just how long this building is until I drafted this block- the finished block is just 6″ tall, but 5 feet long! 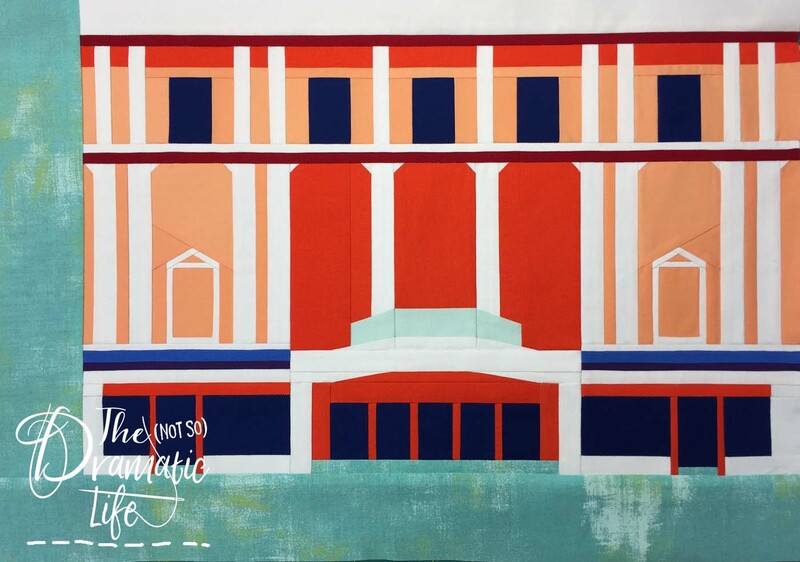 I will be demonstrating the construction of a portion of this block Sunday, January 6th at 1pm at Dabble and Stitch.